Overview: Everyone’s favorite Canucklehead is back! Wolverine returns to the black & white pages, still sporting the bone claws, but becoming more feral in his nature and looks! 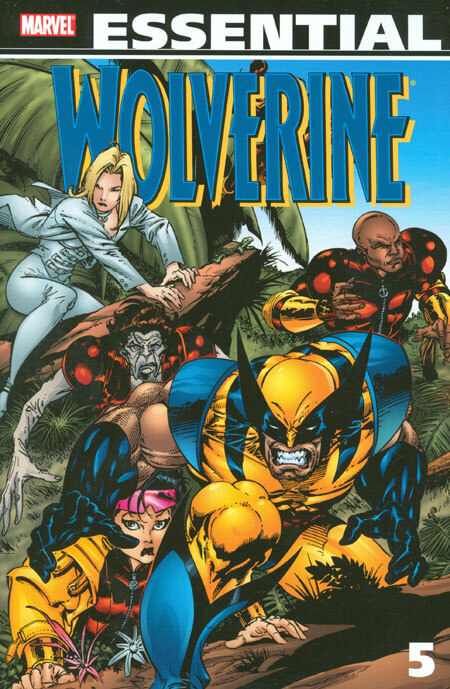 The stories in this volume start out with the X-Men still trying to understand and cope with the more animalistic version of Wolverine. He wants to be outside in the woods, and not cooped up in a lab in Xavier’s mansion. As he gets more primitive, his body starts to revert as well. Eventually, he is kidnapped by Genesis (Cable’s son) who wants to re-bond Logan’s skeleton with adamantium. 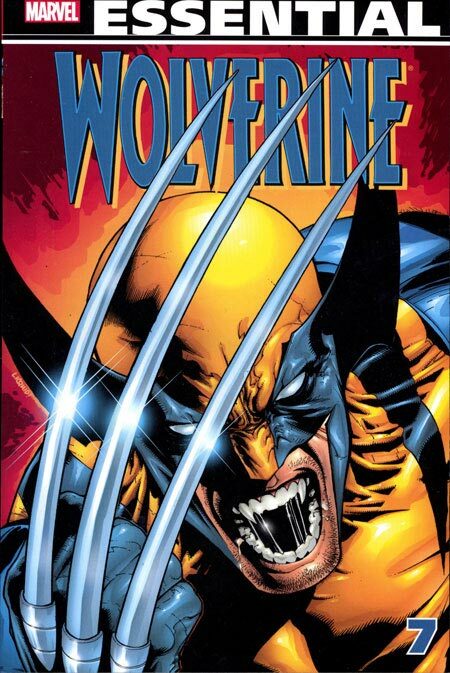 However, his mutant healing ability overwhelms the process, and Wolverine’s body rejects the metal. Following that, Logan goes on a journey to bring himself back from the animalistic edge. Along for this journey is an odd companion, Elektra. While she is more closely associated with Daredevil, this pairing actually works well. Elektra coaches Logan back towards a (relatively) normal human personality. This volume gives us a lot of familiar faces, whether in cameos or team-ups. From the X-Men, we have appearances by Cyclops, Jean Grey, Storm, Beast, and Iceman. From Alpha Flight, we see Guardian, Vindicator, and Shaman. A story arc takes us back to Madripoor where we see Archie Corrigan and Tyger Tiger again. From his time in Japan, we see Logan go on a mission to track down the missing Yukio and Amiko. And no volume would be complete at this point without a couple of appearances by Sabretooth. What makes this Essential? : Once again, I am impressed by how much I enjoyed the volume. 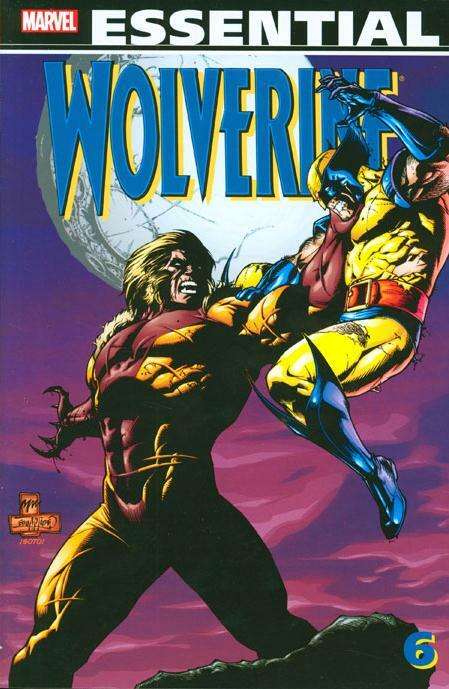 In full disclosure, I was never a fan of Wolverine as a solo character, and the over-use of the character in the 1990s drove me away from a lot of his appearances. Larry Hama continues his long run with Logan, which will come to an end in Volume 6. My biggest complaint about this volume is a carryover from the previous volume. With the way the books were produced and printed in the mid-1990s, reprinting them in black & white lead to a lot of really dark pages. There are times when some of the caption boxes and panels are very hard to read. 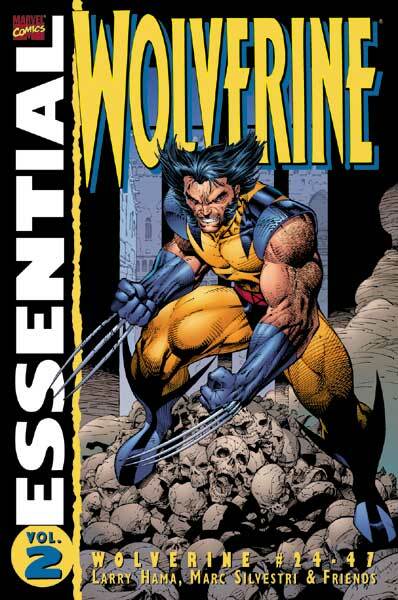 Footnotes: Essential Wolverine Vol. 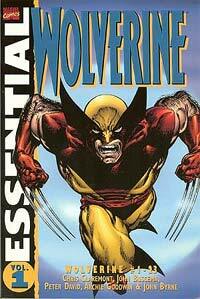 4 ended with Wolverine #90 (February 1995). 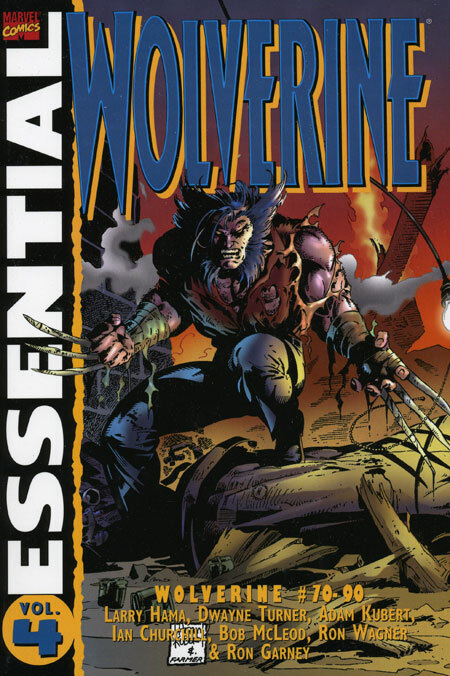 Volume 5 begins with Wolverine #91 (July 1995). For the four months in-between, the book was renamed Weapon X as part of the Age of Apocalypse storyline that ran through all of the mutant books. 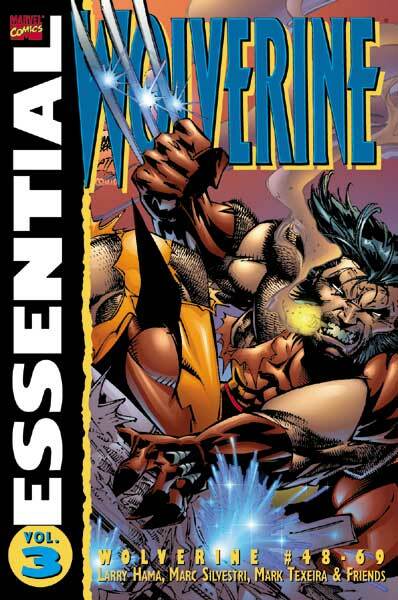 If you like this volume, try: the Onslaught story from 1996, which is touched on briefly at the end of Wolverine #105. Onslaught was a sentient psionic entity created from the consciousness of Professor X and Magneto. The X-Men (in all of the various teams) go toe-to-toe with Onslaught but need help from the Avengers and the Fantastic Four to finally defeat their foe. However, the victory came at a cost, as the Avengers and FF were shuttled off into the Heroes Reborn universe for a year, and were not seen in the Marvel Universe proper. As I recall, this was truly an X-Men story that morphed into a Marvel Universe event to fit the needs of the business. But that won’t stop Marvel from rebranding, as there is an X-Men/Avengers: Onslaught Omnibus due out in July of this year. There are prior omnibus and trade paperback collections of this storyline, but the new omnibus appears to be the most complete of any of the collections.